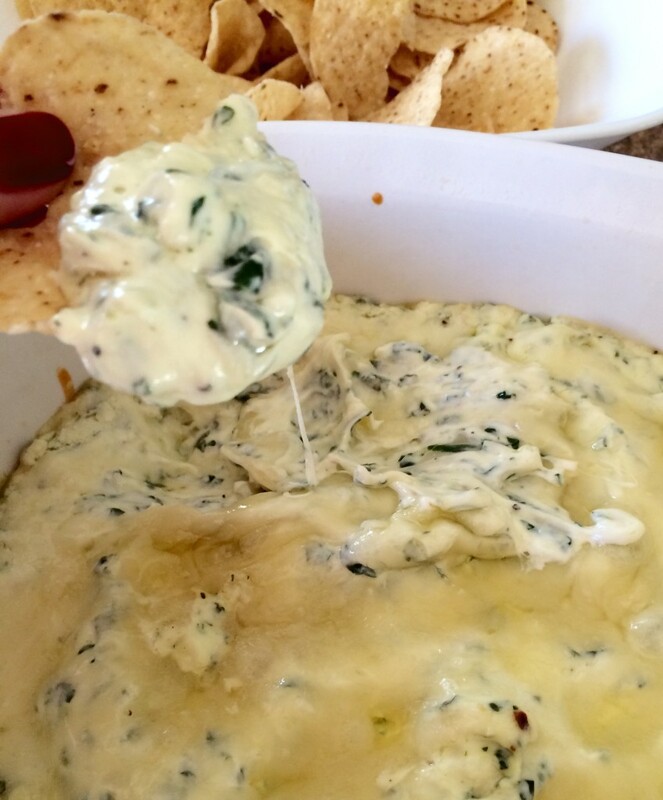 I whipped up this warm, cheesy spinach dip yesterday afternoon in about 20 minutes using ingredients I had on-hand — including a bag of fresh spinach I had good intentions of using for salads (sigh) — and it was the perfect snack for a chilly fall afternoon of watching football. You can substitute frozen spinach for fresh, and use your favorite shredded cheeses. Jarred artichoke hearts also would be a great addition. Heat olive oil and butter in a medium skillet over medium heat. Add the onion and spinach, and saute until soft, about 3 minutes. Add the minced garlic, red pepper flakes, onion powder, and herbs, and saute until fragrant, about 30 seconds. Turn heat to medium-low, and add the cream cheese. Stir constantly until melted and combined. Remove from heat, and stir in the mayo, sour cream, and parmesan cheese. Pour into a greased baking dish, and top with cheddar cheese. Bake for 10 minutes, until the cheese has melted. I’m always looking for creative ways to incorporate more vegetables into our meals. These turkey meatballs are loaded with kale and are a perfect, healthy accompaniment to pasta with basil pesto or marinara sauce. They’re so flavorful, they’re even perfect by themselves for an appetizer. Heat 2 tablespoons of olive oil in a large nonstick skillet over medium heat. Add onion and sauté for about 8 minutes, until golden brown. Add the kale and garlic. Sauté another 5-8 minutes until kale is wilted. Set aside to cool. In a large bowl, add the turkey, bread crumbs, egg, cheese, basil, oregano, salt, pepper, and kale and onion mix. Using your hands, mix together until combined. 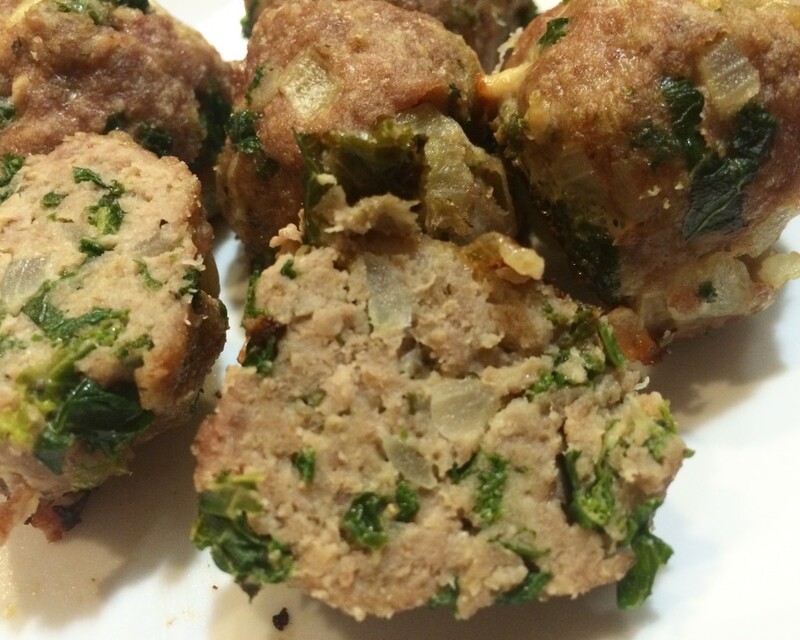 Form into golf ball-sizes meatballs, and place on a greased baking sheet. *To freeze: Place cooked and cooled meatballs on a baking sheet in the freezer until meatballs are firm. Transfer to a resealable bag in the freezer. Heat to serve. I’m all about tradition, and I’ve been eating black-eyed peas on New Year’s Day (and only New Year’s Day) for as long as I can remember. They’re supposed to bring good luck and wealth in the new year. 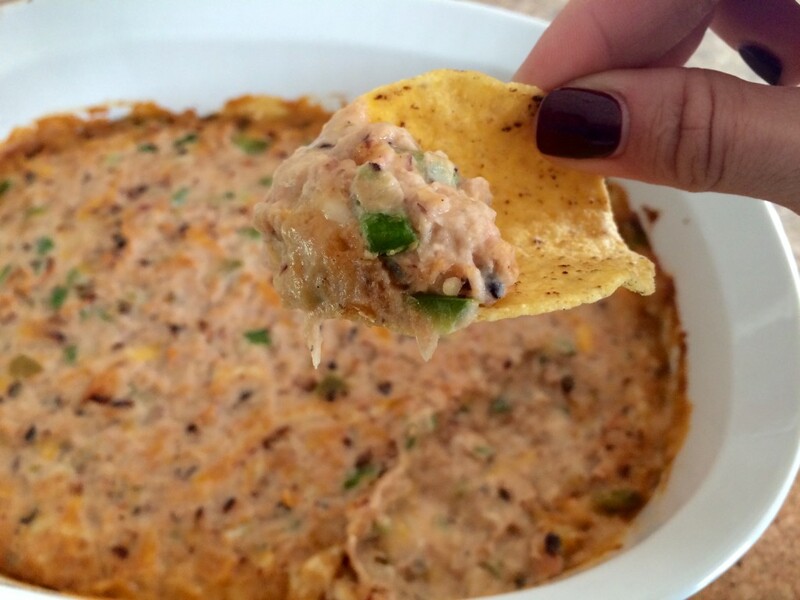 The only problem is I’ve never really cared for them — until I discovered this dip recipe. It’s cheesy, creamy, and spicy and baked until it’s bubbly and hot. I can’t think of a better way to start the new year. Welcome, 2015! In a large bowl, mash beans slightly using a fork. Placed mixture in a greased baking dish, and bake uncovered for 25-30 minutes, until bubbly.